An improperly ventilated crawl space is a breeding ground for fungus, bugs, decay, and even mold. In order for mold to develop, there are several conditions that must be present. These conditions include oxygen, time, darkness, a food source, warmth, moisture, and the presence of mold spores. Often, mold goes unnoticed in the earliest stages because it’s mistaken for dirt. When mold in your attic or crawl space becomes visible, call a local mold clean up company as soon as possible. Keep a lookout for these five signs of mold. Musty smells are often one of the first signs of mold in your crawl space or attic. If your crawlspace isn’t properly insulated or ventilated, it is easy for moisture to get in and stay in. Pay attention to the odors and don’t put off addressing the root of the problem. Condensation can quickly lead to mold problems. Inspect your crawl space and attic for moisture. If you find mold growing, have it remediated quickly and take preventative measures to keep it out in the future. You can prevent mold by improving ventilation or controlling the moisture at its source. This could mean installing seamless gutters and downspouts, using a dehumidifier, installing a draining system, etc. 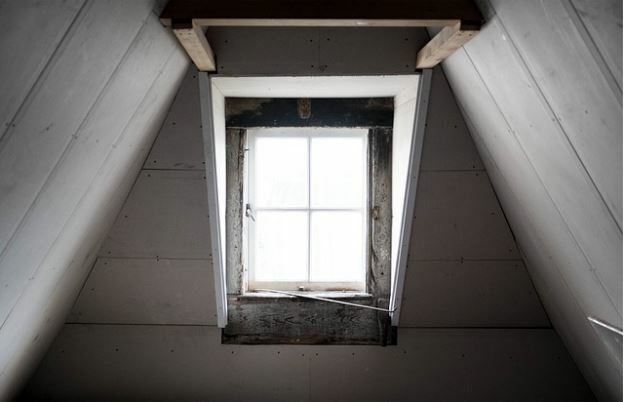 An additional measure to consider is preventing air leaks by sealing paths and restricting the movement of air in your attic or crawlspace. Are your utility bills higher than usual? This may be a sign of mold growth, due to a leak somewhere in your home. Pay close attention to AC and water leaks and have them fixed as quickly as possible to prevent mold from growing. If the leak wasn’t easily detectable, it’s probably behind walls and will need to be aired out completely after the fix is made. If pests are able to get into your crawl space or attic, then so can water. If they gained access by damaging your home, rainwater and runoff could potentially enter and cause mold to grow. Inspect the inside and outside of your home, looking for signs of a pest’s forced entry. If you are exhibiting worsened allergy symptoms, your body may be telling you something is awry. Breathing in mold spores causes a response in the body similar to an allergic reaction. As time goes on, the symptoms will worsen. Listen to your body and call your local mold clean up company immediately. By routinely inspecting your home, you can prevent moisture from accumulating and mold from growing. Don’t hesitate to nip mold in the bud and call experts to remove your mold as early in the process as possible. Eradicating mold in its early stages will end up saving you both time and money in the long run. Contact the experts at Entrusted today for a free assessment on your mold removal.